Just as Michael Bublé thaws out in November to start cracking out those velvety Christmas tunes we all love, you may think that I only make gingerbread around Christmastime. 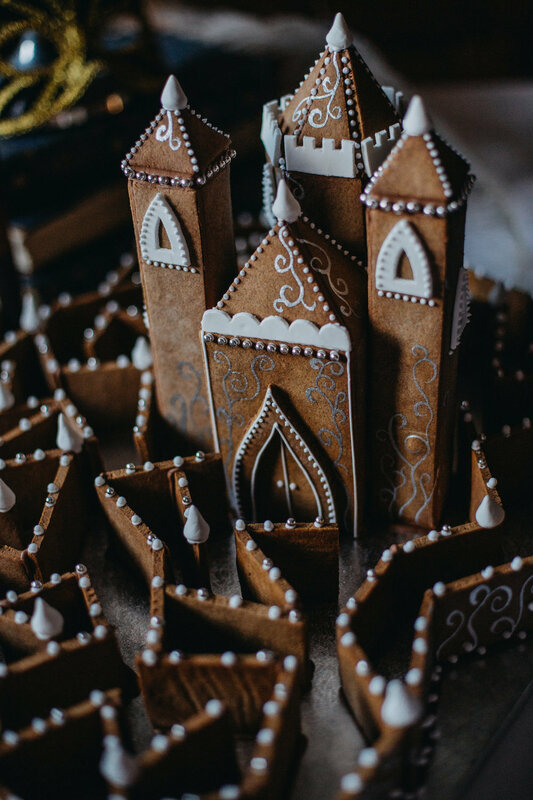 However, I make gingerbread and biscuity bits ALL year round, and 2018 was my favourite year yet in terms of huge gingerbread buildings, projects, and partnerships! February was the London Wedding Breakfast Club Brunch Fest, a couple of days away in Wiltshire with other members of the London Wedding Breakfast Club for fun and business development - but mainly fun, obviously. 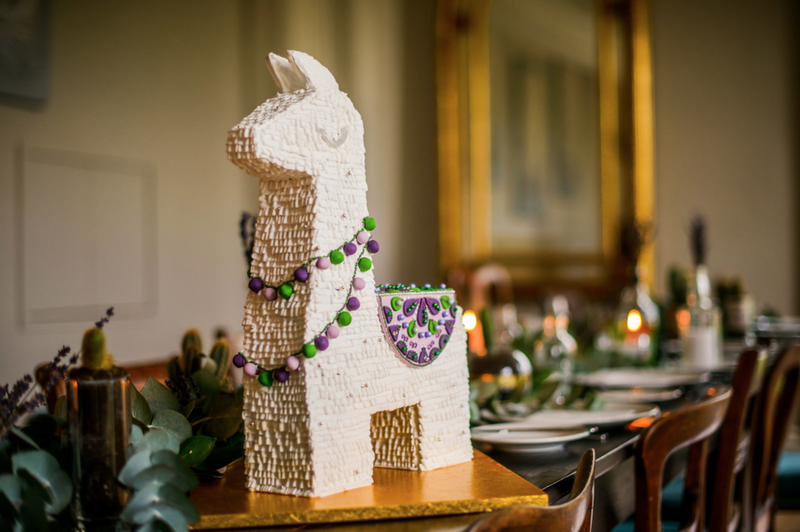 For this I made my first gingerbread llama piñata, and he got to hang out with real life llamas on the grounds of the beautiful venue we were staying in! In March, I was honoured to be named as an Inspirational Woman on International Women's Day by Lagom magazine, alongside This Is The Kit and a host of other truly inspirational humans! I also did my very first dry spice lettering project, designed by calligrapher queen Alice Gabb. For Clerkenwell Design Week, I collaborated with artist Adam Nathaniel Furman to create our alternative royal wedding cake design, “The Ginger Sutra”. He designed it in all of it’s bright, colour blocking glory, and I then built it in delicious gingerbread format. 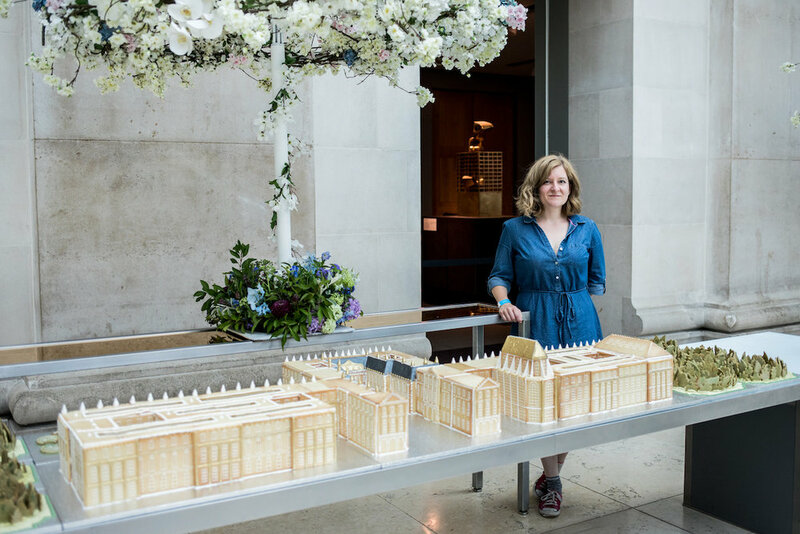 July was the month I built the Palace of Versailles for the British Museum from vanilla and green tea biscuit. 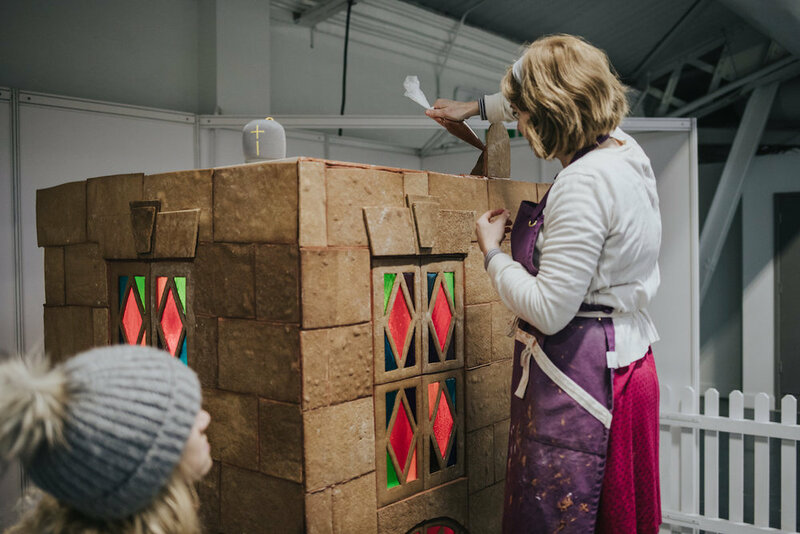 It was my first large-scale biscuit build not from gingerbread - it was an absolute dream-come-true commission. 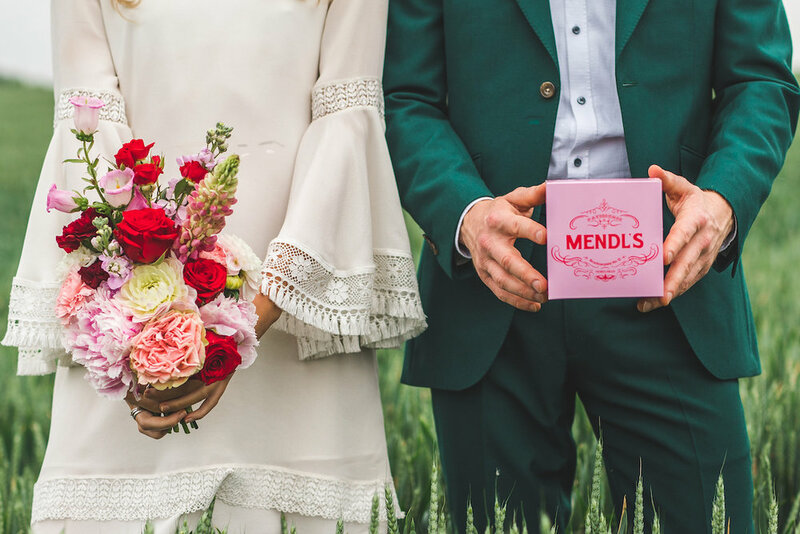 The Grand Budapest Hotel Wes Anderson wedding shoot I was part of, created by Kirsty Mackenzie Photography and The Wedding Spark, was featured on Green Wedding Shoes. I made the Grand Budapest Hotel out of gingerbread, complete with gilded roof and pink window frames. I’d LOVE to do more film-based biscuit buildings this year! Another amazing film-based wedding shoot I was part of, this time inspired by the iconic Labyrinth, was published on Offbeat Bride. Of course, I made a gingerbread labyrinth as an alternative wedding cake! 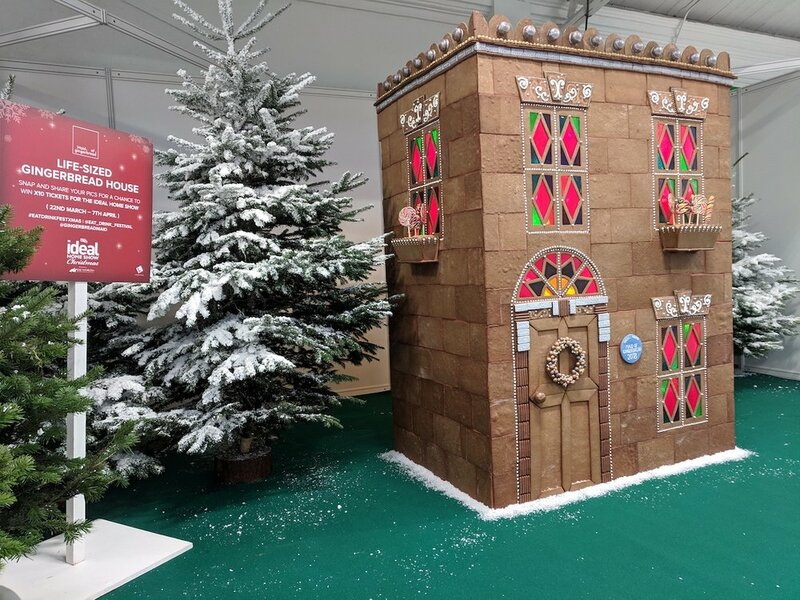 I got to build my Ideal Gingerbread Home (a gingerbread town house for The Ideal Home Show At Christmas), my biggest building to date. I learnt so much and had the time of my life planning it and bringing it to life - can't wait to hopefully make something even bigger and better this year! In December, I made my TV debut on Kirstie's Handmade Christmas, where I was honoured to judge the gingerbread competition. I had so much fun hanging out with the fab production team that day, and people's comments since the show came out have been so lovely! Looking ahead to 2019: I have got a couple of really fun commissions coming up in a couple of months including a gorgeously geeky wedding, and a massive bar mitzvah. I’m also working on some super exciting collaborations at the moment which I can’t wait to get cracking on with. On top of that, I can't say too much, but I might be appearing on your TV screens again soon too!